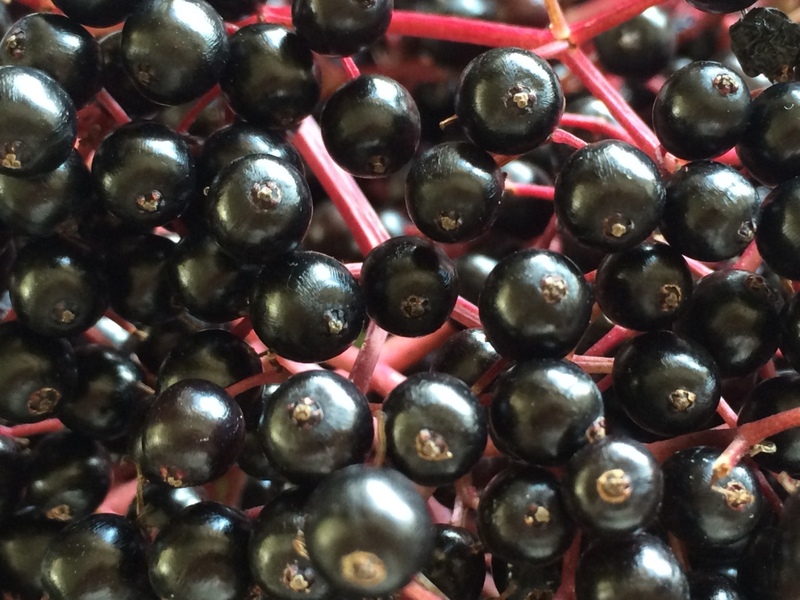 Elderberries are abundant at this time of year. They offer us up their bright shiny berries to help boost our immunity, ready for the winter months ahead. Remove the elderberries from their stalks either by hand or with a fork, place in a large pan. Add the cinnamon and/or other spices you fancy, the rind and juice of the lemon. Cover the berries with water and bring to a simmer, simmer gently for 20mins or so (with a lid on). 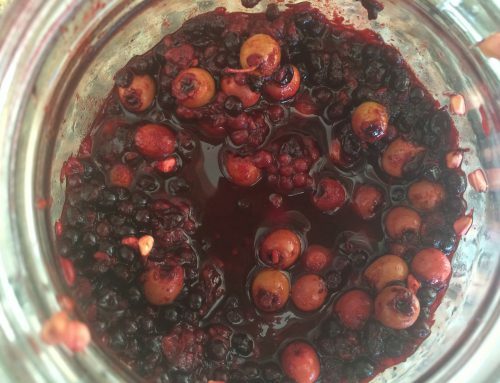 I like to gently give the berries a little mash with a fork or potato masher. 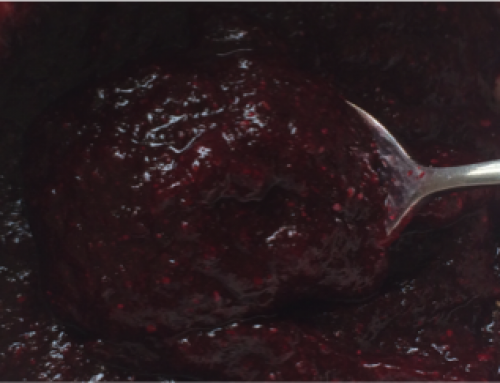 Strain the liquid and berries through a piece of muslin held within a sieve over a bowl/jug, squeeze out all the juice. 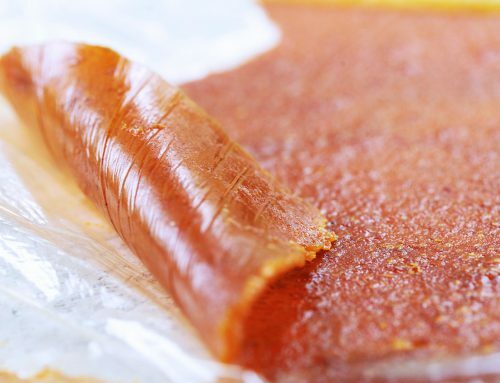 Measure the amount of liquid you have and return it to the pan with the sugar/honey. Gently bring back to a simmer, stirring all the time to prevent sticking, continue to simmer gently until it becomes syrupy, pour into sterilised bottles. Label and enjoy as a daily tonic. Take 1 tablespoon of syrup daily as a winter tonic or you can dilute the syrup with hot water and a squeeze of lemon.